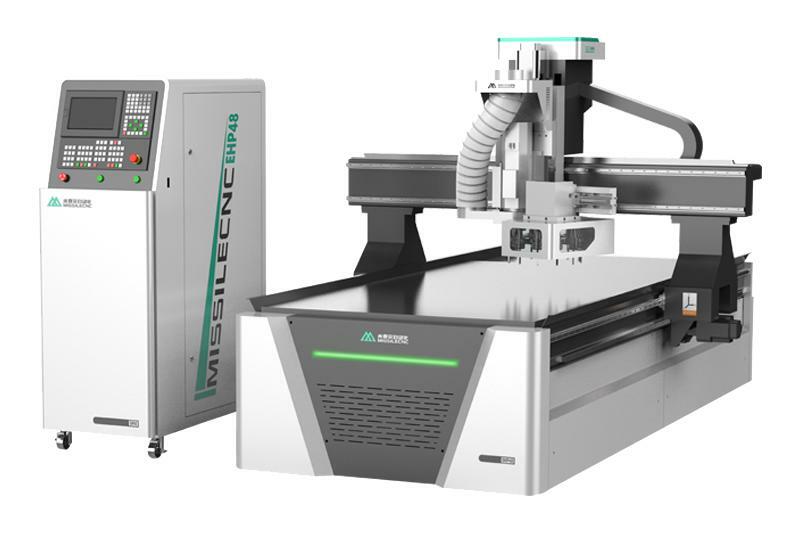 China jinan missile cnc router machining centre nesting machine S9 is professional machine for panel furniture production . It equipped with 9KW ATC Spindle ( 12 carousel magazine) ; Italy Fam 5+4 boring heads which can meet all kind vertical holes drilling’s requirement . 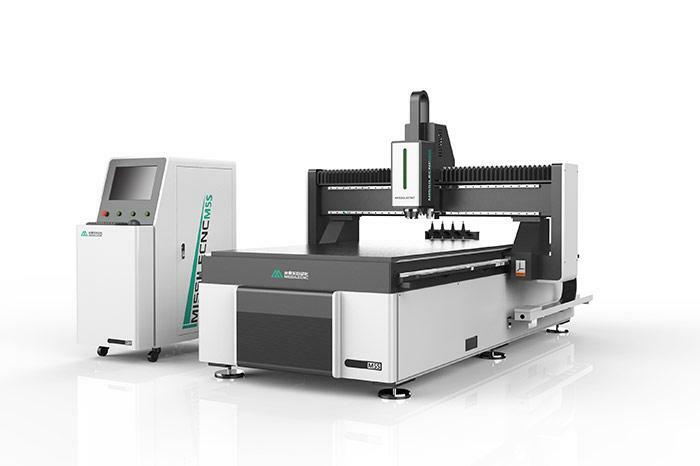 S9 has multifunction : Routing , drilling , cutting , edge chamfering etc . S9 is also with automatic push function which can push the finished panel board from the worktable and collect the dust duringworking at the same time . In this way , it’s very easier for the operater to unload and new feeding board easily be strong sucked on the worktable. 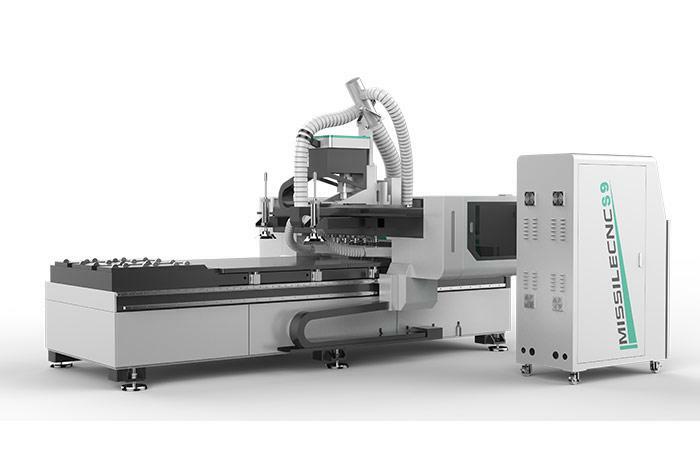 1.Automatic loading, cutting, drilling, slotting, automatic offloading Saving time & labor, replace CAD draftsman, splitting man, cutting man, only need 8 min to input size & design & split. 2.Automatic layout optimization, improve material utilization. 4.Automatic scissor lift table with three ton load bearing capacity for full bundles of panel materials. Woodworking cnc router can be equipped with fully automated loading and off-loading systems.Dust gate to remove any dust and debris from the bottom of the processed sheet. The Suction Cup Loading Device and Integrated Vacuum Cleaning System is standard on the Full Line CNC Router. The Integrated Vacuum Cleaning System ensures that all dust and debris is removed from the machine table prior to loading the next sheet. The industrial strength vacuum cups will load and position sheet material onto the table top without scratching the surfaces and aligns them perfectly against the pop up pins. A popular option to add to the nesting line is the automatic label printer. Through its stand alone software and controller, the label printer is effective at reducing the amount of cycle time needed by completing the application of labels before the panel is cut.